If physical therapy and other nonsurgical options have not helped relieve your knee pain or regain your mobility, knee replacement surgery may be a good option for you. If you are considering knee replacement surgery, you’re not alone. According to the Agency for Healthcare Research and Quality, approximately 600,000 people each year in the US have knee replacement surgery. You have options when it comes to knee replacement surgery. Depending on the severity of the damage to your knee, you may have a choice between a partial knee replacement and a total knee replacement. Let’s discuss what each entails to see which option might be right for you. A partial knee replacement involves resurfacing just one portion of the knee instead of the entire knee. During this procedure, your surgeon will repair just the part of your knee joint that is damaged. This is an option if the arthritis in your knee is localized to one area: either the inside of the knee, the outside of the knee, or the front of the knee under the kneecap. As a reminder, the term arthritis refers to wearing away of the normal cartilage cushion between the bones in your knee. The arthritic process typically begins in one part of the knee; therefore, a partial knee replacement may work well for someone whose arthritis has not yet spread to other parts of the knee. Partial knee replacements are done on younger and more active patients who do not need a total knee replacement, as well as in some older patients too. A partial knee replacement is less invasive than a total knee replacement, meaning that you keep most of your own knee. It typically involves less pain and a quicker healing time, and is often done on an outpatient basis. Since none of the ligaments are removed during surgery, patients describe the range of motion in their knee after surgery as feeling very natural. People who have a partial knee replacement usually feel more flexible and report a more normal feel to their knee, which makes sense because they have kept most of their own knee. The recovery after a partial knee replacement is typically quicker and easier, with less supervised physical therapy needed compared to a total knee replacement. Patients are usually walking unassisted within a few weeks, and begin to resume normal activities very quickly. During a total knee replacement, your surgeon will repair all three compartments of your knee joint, by resurfacing all of the joint surfaces. Since arthritis of the knee wears away at the joint, this can cause stretching of the ligaments on one side of the knee and tightening on the other. Therefore, during a total knee replacement, your surgeon must balance the ligaments to obtain a stable knee. This surgery has been invaluable to millions of patients by allowing them to live without pain and restoring their mobility and function. Total knee replacement surgery involves more work during the recovery process, meaning more supervised physical therapy and a slightly longer healing time compared to a partial knee replacement. That being said, most patients report high satisfaction after getting a total knee replacement, as it relieves their pain and restores their mobility and function. Total knee replacements are considered to be very safe and effective for treating the pain and stiffness caused by osteoarthritis of the knee. Depending on the demands of their job, most patients can return to work and daily activities in the first few weeks or months after surgery. There are restrictions after getting any type of knee replacement, such as avoiding the high impact of running; however, any low-impact activities such as walking, hiking, biking, swimming, golf, and tennis are fine. Should I Get a Partial or a Total Knee Replacement? Most patients with knee arthritis require a total knee replacement. Although 9 out of 10 knee replacement surgeries are total knee replacements, around 25% of patients with knee arthritis may be a candidate for a partial knee replacement. Whether you are a good candidate for a partial or a total knee replacement depends mostly on the condition of the different parts of your knee. If just one compartment of your knee is damaged, you’re probably a good candidate for a partial knee replacement; however, if two or three of the compartments are damaged, a total knee replacement is likely necessary. A total knee replacement would also be needed if you have severe ligament instability or a deformity that causes long-term arthritis. To figure out your own personal options, a simple x-ray and physical examination in the clinic office will guide you in the right direction. Both partial and total knee replacements have proven quite successful when performed on the right candidates. It is important to discuss with your surgeon the benefits and risks of both of these surgeries. If knee pain and stiffness are affecting your quality of life or affecting your normal daily activity, then you may want to talk to your doctor about getting a partial or total knee replacement surgery. 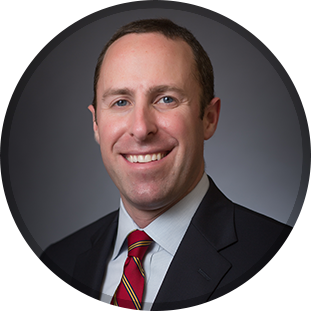 Dr. Brett Gilbert, a board-certified orthopedic surgeon with advanced fellowship training in hip and knee replacement surgery, welcomes the opportunity to serve you at his offices in Raleigh, Apex, and Brier Creek, in the Triangle region of North Carolina. Please call (919) 788-8797 to schedule an appointment or use the secure online appointment request form.